Many of the world’s top watch brands align themselves with top chefs. The relationship seems natural – fine dining, fine watches. 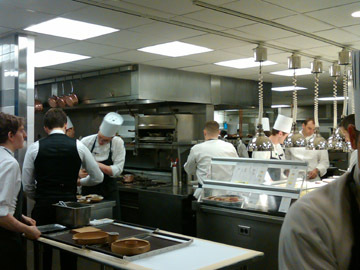 Blancpain and three-Michelin-star chef Daniel Humm see it as more of a similarity of arts. 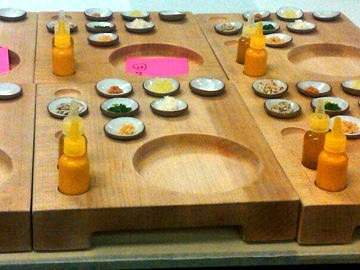 “Creating great meals is an art,” said Humm at a private dinner with Blancpain at Eleven Madison Park. Humm is also the chef for New York’s Nomad – but Eleven Madison Park is a New York icon and Humm has brought it a long way during his past few years in charge. with a very special Tourbillon. While that was a whirlwind for Humm, the very select dozen or so dinner guests (me included) enjoyed a whirlwind of our own: a behind-the-scenes tour of the kitchen and an incredible culinary experience. 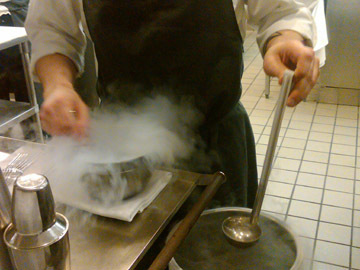 alcohol and liquid nitrogen and secret ingredients — it was a winner! finest creations. 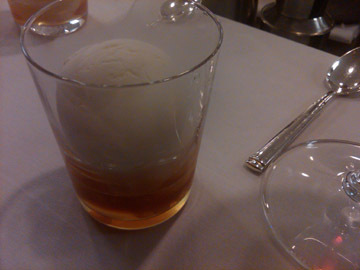 While we watched as they prepared, we also were treated to a delightful liquid-nitrogen edible cocktail. Called the Widow’s Kiss, the cocktail starts out in all liquid format, but ends up (thanks to the creative use of liquid nitrogen and top-notch secret ingredients) in a partially solid format that is delectable to eat with a spoon. Following the tour, we enjoyed a six-course meal, complete with wine pairings – with the main course being Humm’s famous duck. Each finely prepared meal was also complemented with a presentation of some of Blancpain’s most exquisite hand-made timepieces. Stay tuned for a special moment in time with the humble and likeable Daniel Humm.